vous permet de transformer n'importe quel lit de camp en abri autoportant solo. Learn more. vous permet de transformer n'importe quel lit de camp en abri autoportant solo. "Add weather protection and privacy to your already comfy cot experience with our new Cot Tent. Providing bug-free luxury, full coverage and a waterproof rainfly, the lightweight Cot Tent packs small and hubbed poles make setup a snap. 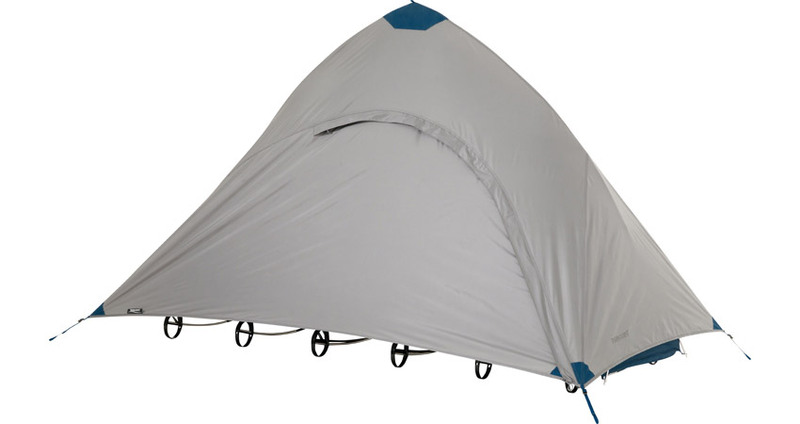 For bug-free protection without the rainfly, check out our Cot Bug Shelter." Bug-Free Luxury: Roomy interior, mesh floor and large, easy-entry door. 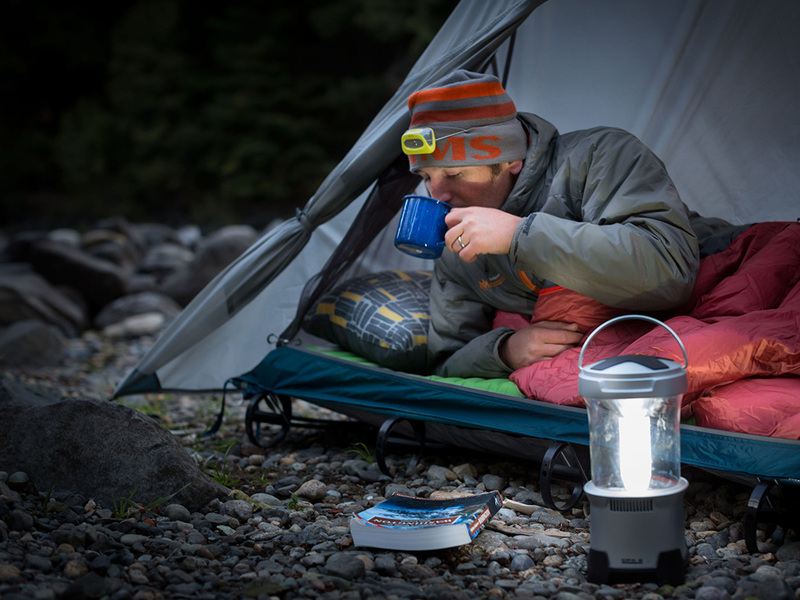 Full Coverage: 1500mm rated waterproof rainfly provides reliable weather protection. Easy Set-Up: Hubbed poles make for quick and easy assembly. 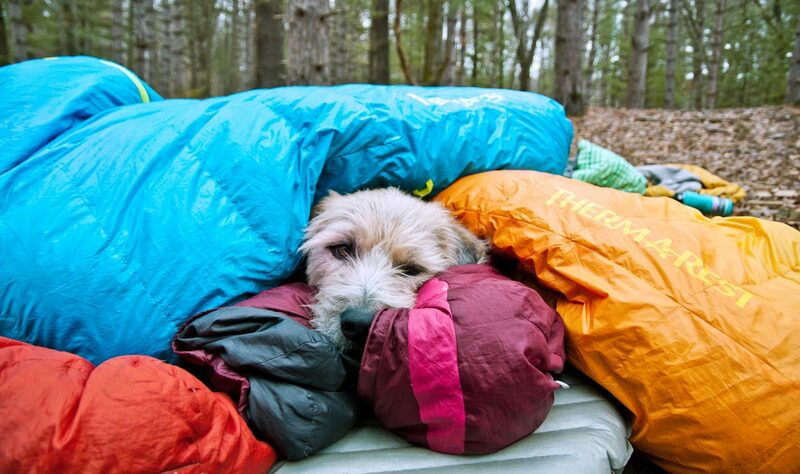 Packable: Lightweight and packs small. Which cot will best suit my needs, a LuxuryLite® UltraLite Cot™ or a LuxuryLite® Mesh Cot? While both LuxuryLite cots are lightweight and pack up small enough to easily fit in a backpack, pannier or portage bag, our UltraLite Cot is the lightest, most packable cot available. However, if breathability is a priority, our Mesh Cot offers the most breathable comfort. How breathable are LuxuryLite cots? Our Mesh Cot is very breathable, with the tiny holes in the fabric allowing for air circulation. Our UltraLite Cot fabric is not breathable, but the lack of breathability only affects contact points with the body; the cot’s open, off-the-ground design allows air to circulate below the cot to help cool hot spots. How warm are the cots? How can I make my cot warmer? While LuxuryLite cots offer no insulation, you can easily increase the warmth of the cot by pairing it with a Therm-a-Rest ® mattress or blanket, or our new Therm-a-Rest® LuxuryLite® Cot Warmer. Featuring ThermaCapture® Radiant Heat Technology, the Cot Warmer attaches to your cot to capture your body’s heat and increase cot warmth by 10-15 degrees F.
What is single bow vs. twist bow construction? What are the recommended steps for assembly? A single bow (one pole) can be used for a lighter weight setup, while a twist bow (double pole construction) is used for extra support. To build a single bow, insert a male pole into a female pole. Place a nylon foot on each end using the hole closest to the hook side, with the pole positioned on top of the platform. To build a twist bow, place a male pole and a female pole into one foot. Repeat the same process with another foot, so the two pieces are identical. Connect the male and female poles to create a bow. When assembled correctly, the feet will face opposite directions. How can I make sure poles are fully seated in the nylon feet? Poles need to be fully seated in the back of the hole of the foot. To check if a pole is fully seated, you can tap it with a hand or against the ground gently. Are there any tips for making cot assembly easier? To make installation easier, lay out half-assembled poles (one pole seated into one foot for single bow setup; a male pole and female pole seated into one foot for twist bow setup). Line up so all feet face in the same direction, which will help you more easily find the parts you are looking for. What is the proper technique for installing single or twist bows? Stand at the end of the fabric with both your feet on the shock-corded poles. Attach a single bow to one of the shock-corded poles using the hook on the nylon foot. Holding the opposite foot and the center of the pole, pull the bow away from the fabric until it is possible to hook the other foot. To attach a twist bow, make sure poles are assembled correctly by first lining up poles in the same direction so one set appears upside down. Connect one end of the bow to a shock-corded pole using the hook on the nylon foot. Twist (rotate) the other foot 180 degrees until the hook is facing the fabric. Apply tension to the bow with your free hand and hook the other foot. Should I use standard or lightweight setup on my UltraLite Cot or Mesh Cot? 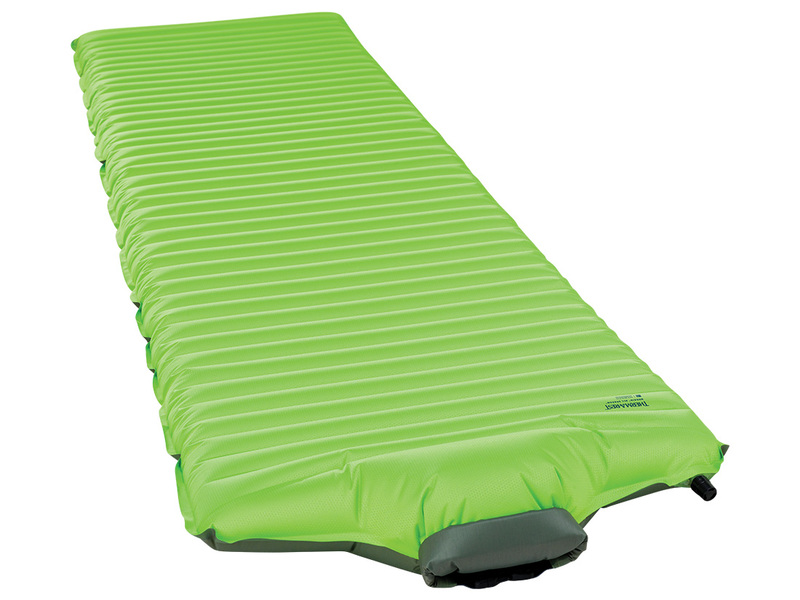 For UltraLite Cots, the Lightweight Setup includes 4 single bows that support up to 175 lbs. Standard Setup includes 4 single bows and 2 twist (double) bows in center locations for extra support of weight up to 325 lbs. If you feel contact with a pole bow when lying in a cot that is set up with single poles, it is recommended that you use a twist bow for extra support. For Mesh Cots, Lightweight Setup (4 twist bows) supports up to 175 lbs, while Standard Setup (6 twist bows) supports up to 350 lbs. How customizable are LuxuryLite cots? What if I need extra support in a particular place? You will notice there are more pole holes than there are poles. LuxuryLite Cots are designed for three different pole settings, providing the most adjustability of any cot. Multiple pole holes allow you to choose between no bow, a single bow or a double bow at different locations to customize your cot. For the lightest possible configuration for your needs, start with the four single poles, and then add poles where you feel you need the added support. 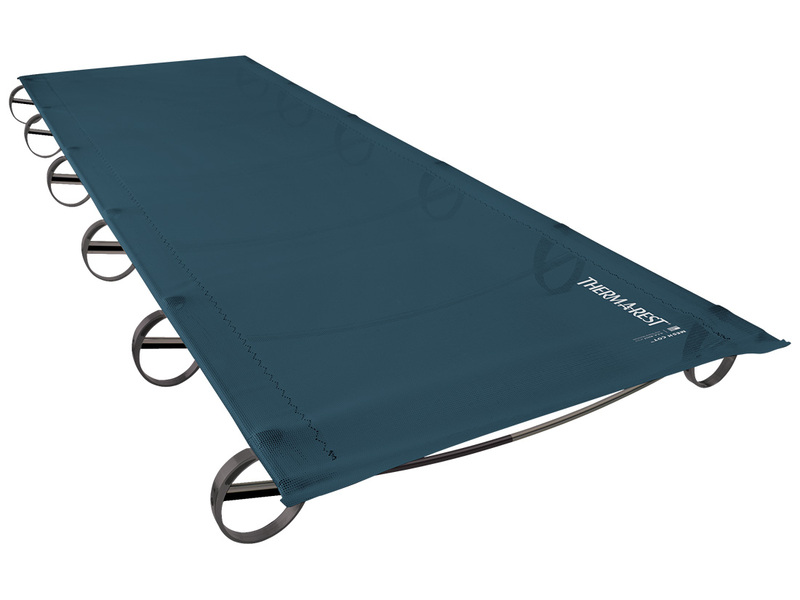 Do I need to take the cot apart completely when packing up/moving camp to a new location? 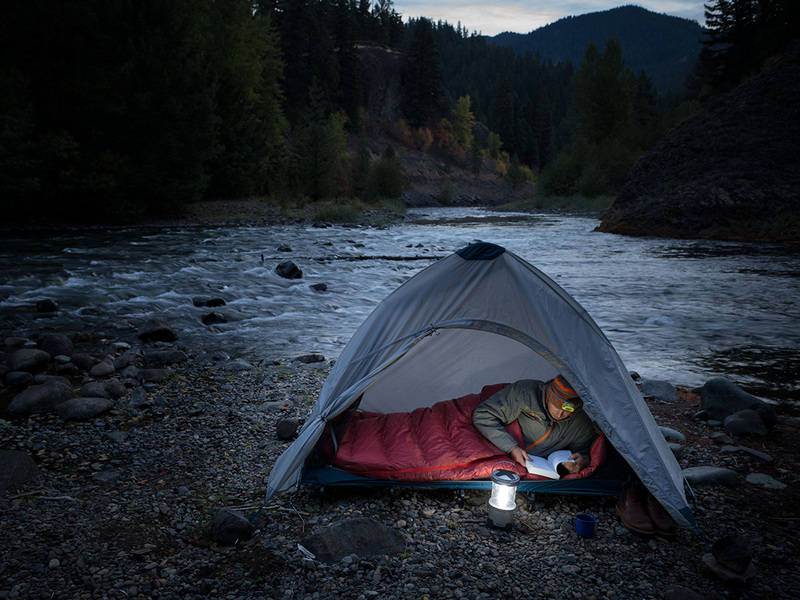 Cots can be stored partially assembled, saving you time during multi-day trips. For ease of reassembly, leave poles in foot when storing (may require larger stuff sack). How should I get into and out of the cot? Can I sit on the side of the cot? Sit down to get into the cot, avoiding any jumping or sliding, which can cause feet to splay. Once you are in the cot, the cot will sustain a great amount of direct pressure (increasing tension with applied weight), and you can roll freely from side to side. However, try to avoid any rocking motion from front to back, which can cause feet to splay and hooks to break off. When getting out of your cot, sit on the fabric or mesh (not the side poles) and push off on the side poles above the feet rather than between the feet to avoid generating lateral force and splaying feet sideways. How do I clean my LuxuryLite cot? 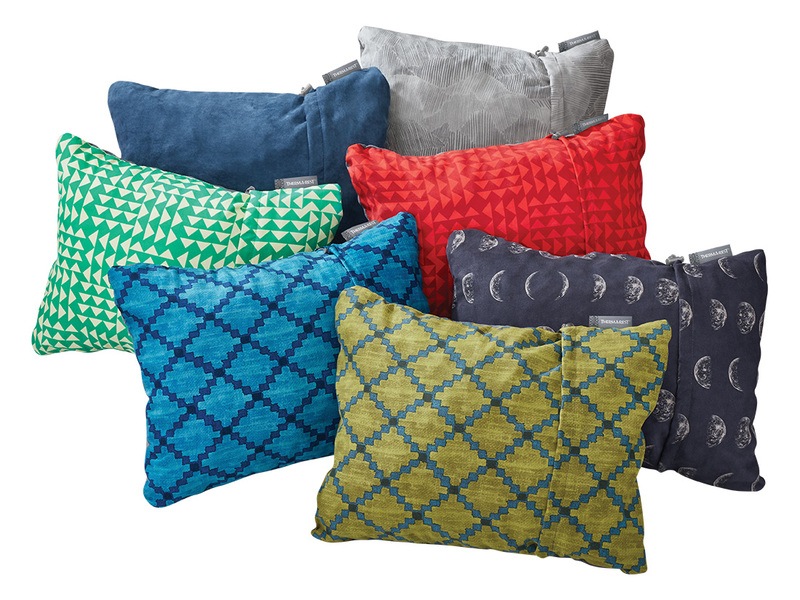 Spot clean fabric as necessary with a mild detergent. Do not machine wash. Hang to dry. 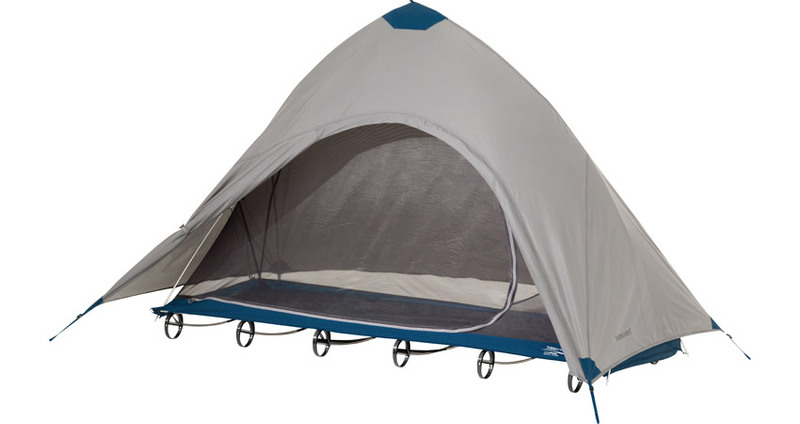 If I use the cot in my tent, what can I do to protect my tent from any abrasion? LuxuryLite® cots have twice as many, and more gently rounded feet compared to most cots on the market, which helps distribute your body weight and minimize cot feet wear and tent floor abrasion. 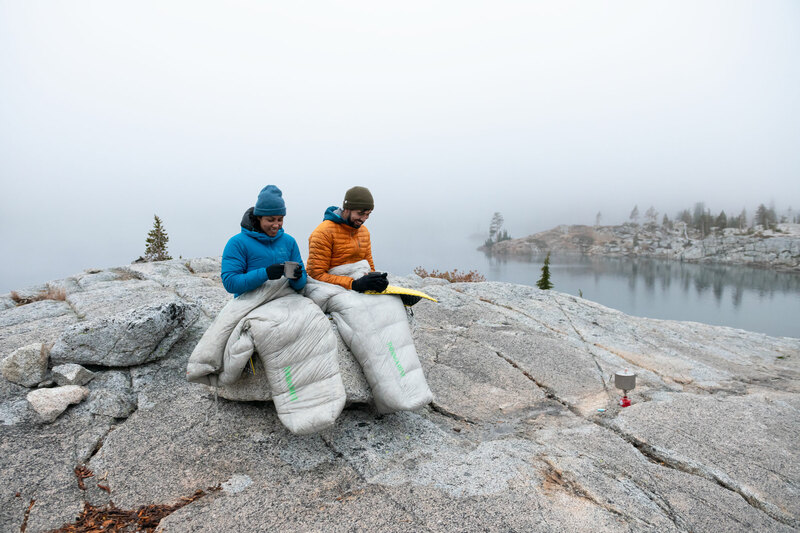 Placing fabric or padding under the cot feet can also help further protect your tent from potential abrasion (especially on hard, rocky ground). Wear on tent floors will vary depending on the fabric weight. 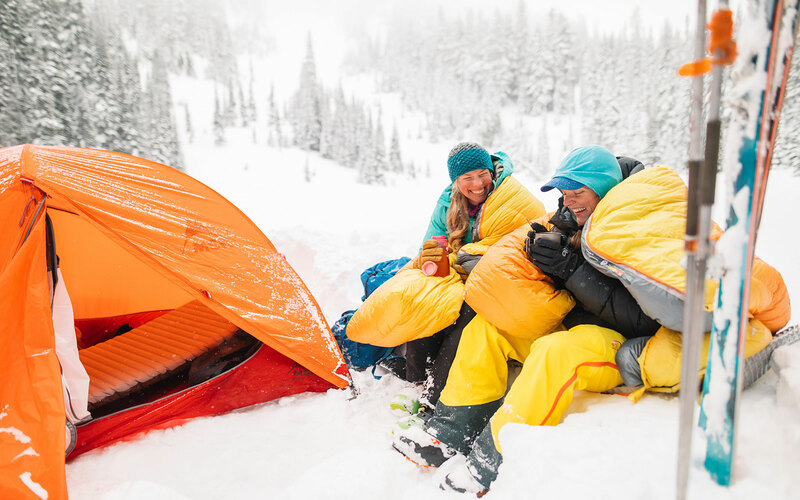 If your tent develops any wear spots due to gossamer fabrics and coatings, reinforce wear spots with pressure sensitive repair patches available in Therm-a-Rest® Repair Kits or similar products. Do LuxuryLite cots come with a warranty?